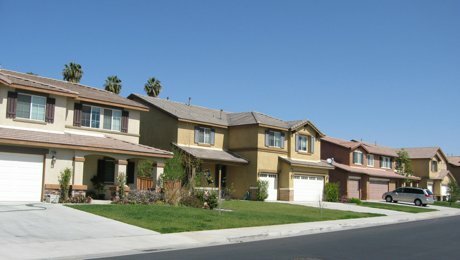 Buying a Home - What at an HOA? Some home buyers don't have any experience with HOAs. Here's some info for those buyers. When you purchase a home, there's a good chance you'll have to pay a homeowners association fee, especially in gated communities, townhouses, condominiums, and other similar planned neighborhoods. The idea is to keep common areas clean and maintained, and there's usually an HOA board that is responsible for setting the rules and regulations. Each HOA is different, but most have the same core elements. You'll typically pay your HOA fees either monthly or annually, and it's an important factor to consider when you're weighing your options for a new home. So what is typically included in your HOA fees? First, the fun stuff Amenities are typically the big perk of living in a community with an HOA. While you lose out on some of the freedom of living without an HOA, you instead get community amenities like a maintained pool, gym, clubhouse, tennis courts, and other amenities. The HOA fees pay for cleaning and maintenance, so-in theory-you'll always have a clean pool whenever you want to use it. Call us today if you are thinking of buying a home. We'll help you with the entire process - from start to finish.